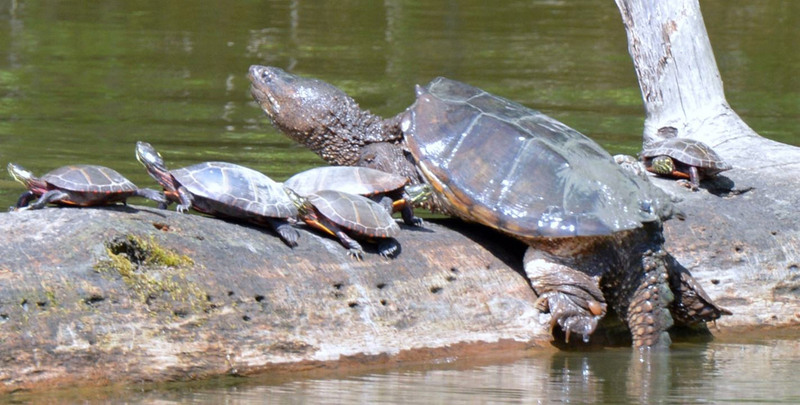 These painted turtles have a hard time holding their spots in the sun when this snapper decides to catch a few rays. 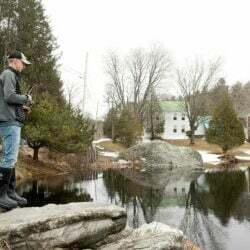 Steve Cassidy of Westbrook said it’s “one of a half dozen or so very large snappers” in one of the ponds behind Evergreen Cemetery. 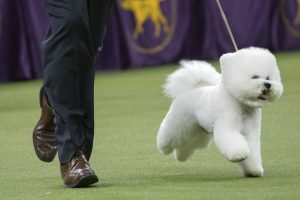 “I took the shot (on June 2) along with several others as he emerged,” Cassidy reports. 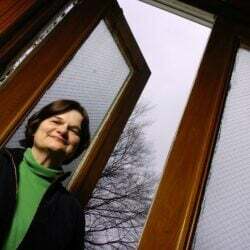 Last week at his cottage on Rangeley Lake in Oquossoc, Bill Vaughan heard a thump on the window. 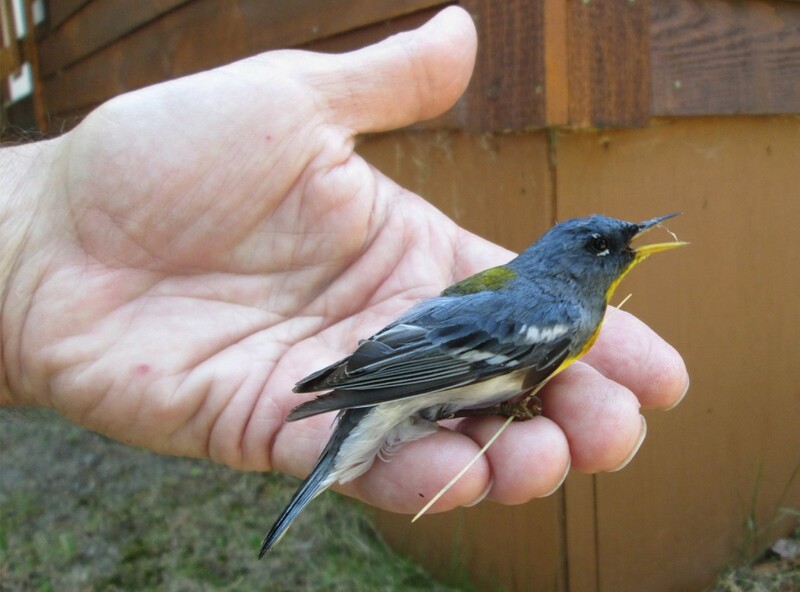 “I went outside and found two northern parula warblers on the ground fighting in a possible territory dispute. 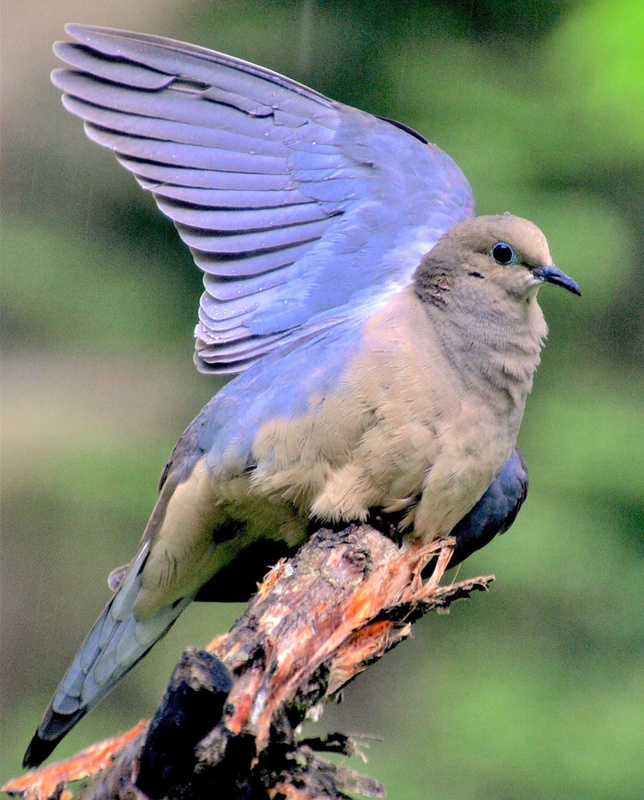 When I stepped closer, the winning male flew away and the second one remained on the ground slightly stunned.” The bird recovered while in his hand, and after being placed on a low fir branch, he completed his recovery and then flew away. 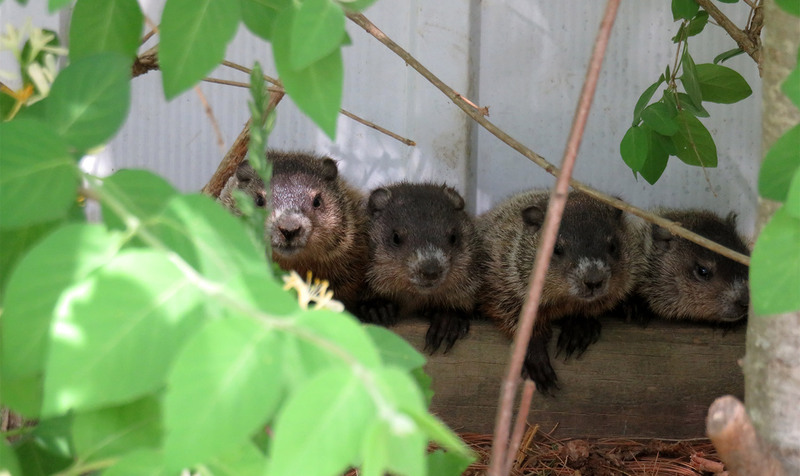 For Cathy Wilkie Conley of Alfred, there is a six pack of baby groundhogs this year. Only two the first year, then four and now six ... "If only they would stay this size," she says. The leader of the pack had quite a gaggle of followers floating along Thomas Pond in Casco when Donna Morton watched the procession. Brian K. Lovering is a frequent contributor to Your Turn, and it’s no wonder with the vast array of daily visitors to his gardens in New Gloucester.  Kathy Welch of Portland was sitting in her deck near an overgrown hosta, but didn’t expect to see a mass hatching of garden spiders. “I noticed this brown bug that looked like a penny. 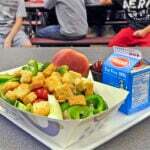 I touched it and immediately they went everywhere,” Welch reports. 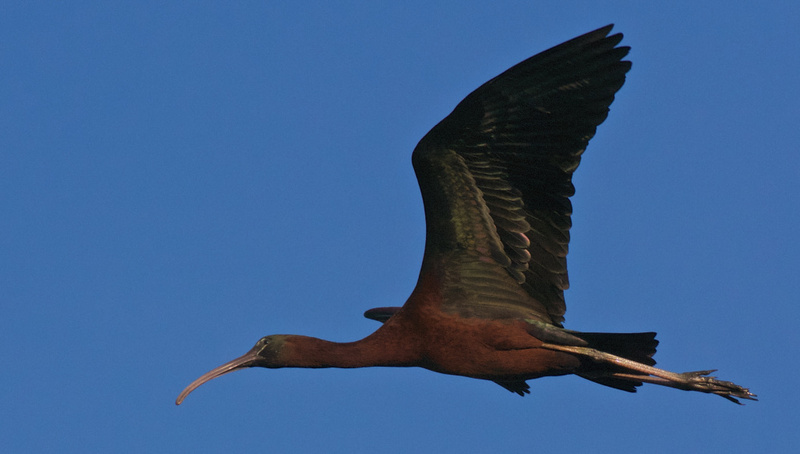 R.A. Smith of Portland took this picture of a glossy ibis in flight over Capisic Pond in Portland. 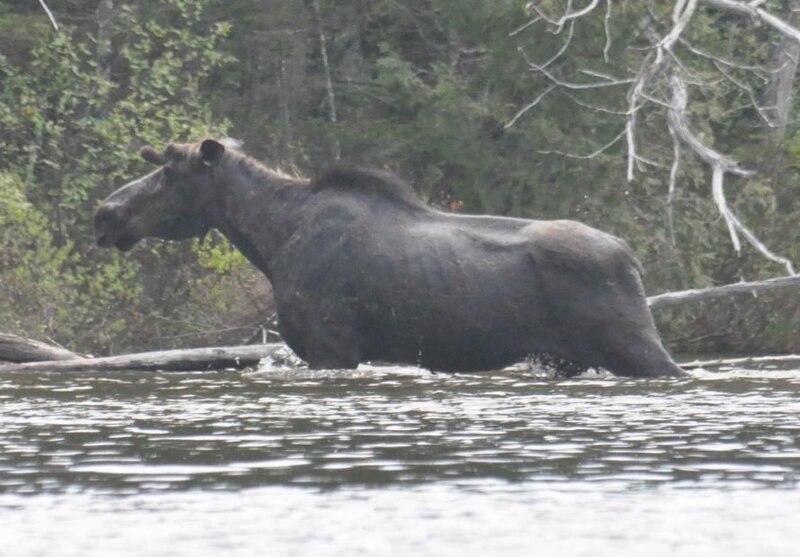 David and Lori Fogg came across this moose while kayaking on Indian Pond in Greenville. The Foggs reported that it was very buggy, so they figured the moose was trying to keep the bugs away. This mourning dove recently spent some time on a rainy day perched outside the window of Erik Bartlett's home in South Casco. 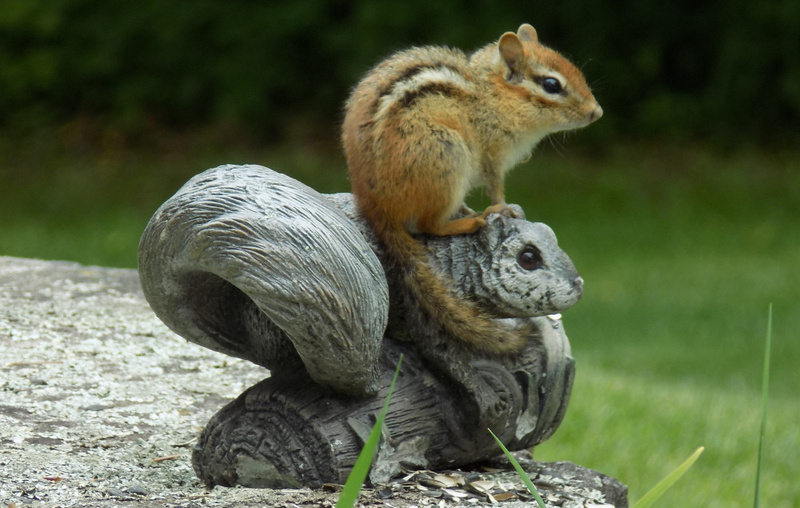 Rebecca Carlson, 10, of Cumberland, submitted this photo of a small chipmunk that loves to sit on the head of her family's gray squirrel figurine. She says the chipmunk also enjoys pilfering sunflower seeds from the bird feeder. 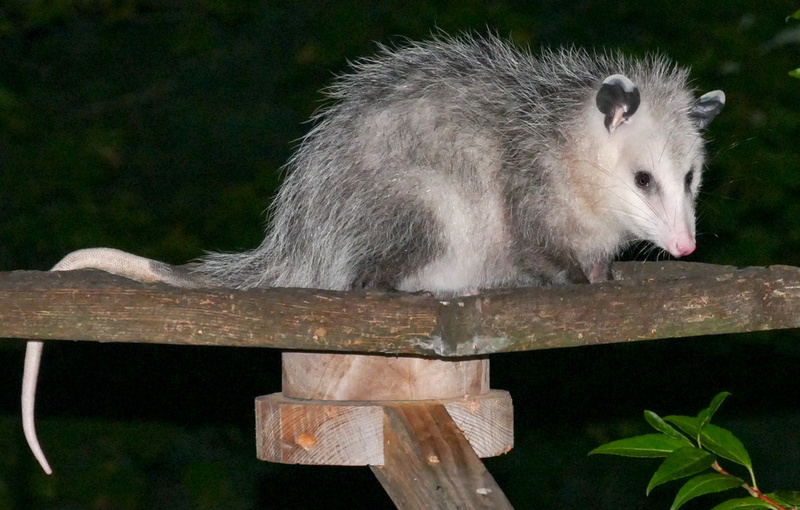 This possum recently visited Max Henke's home in Topsham, not once, but on two consecutive evenings, where he satiated his hunger at the bird feeder. 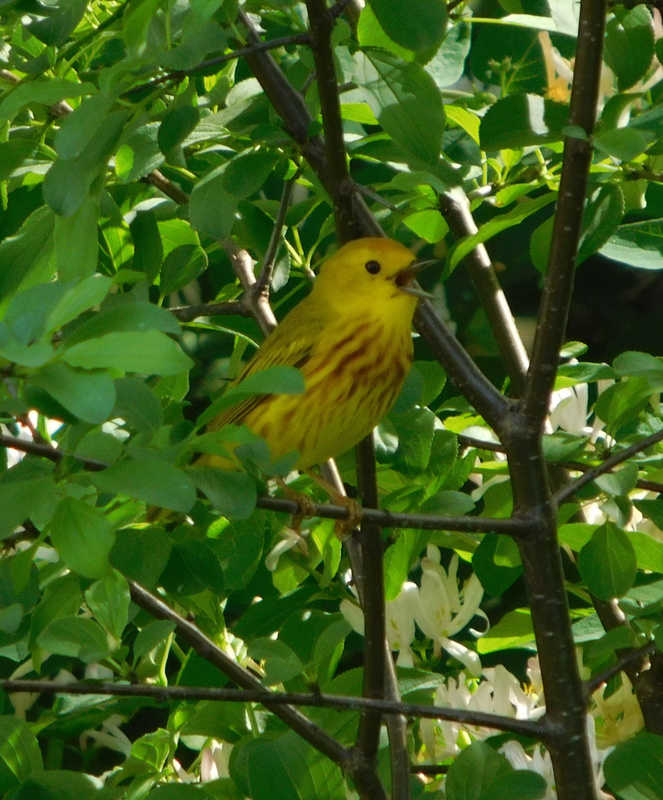 Morgan Eastman of Falmouth happened upon a "very vocal, male yellow warbler defending his territory from the others" while spending Memorial Day weekend in Winslow. 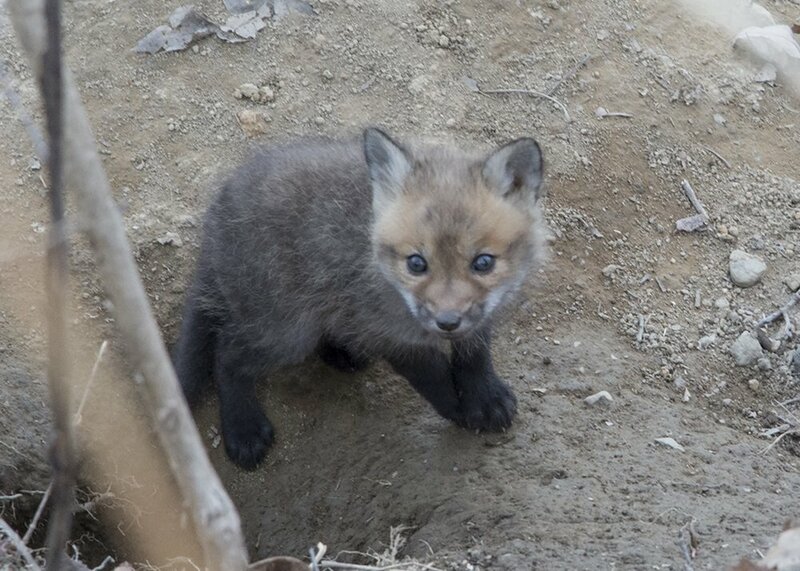 Cathy Hart encountered four fox kittens last Sunday during a walk in Deer Isle. She said the cute critters watched her for a long time and then started romping in the grass and crossing back and forth across the dirt road. 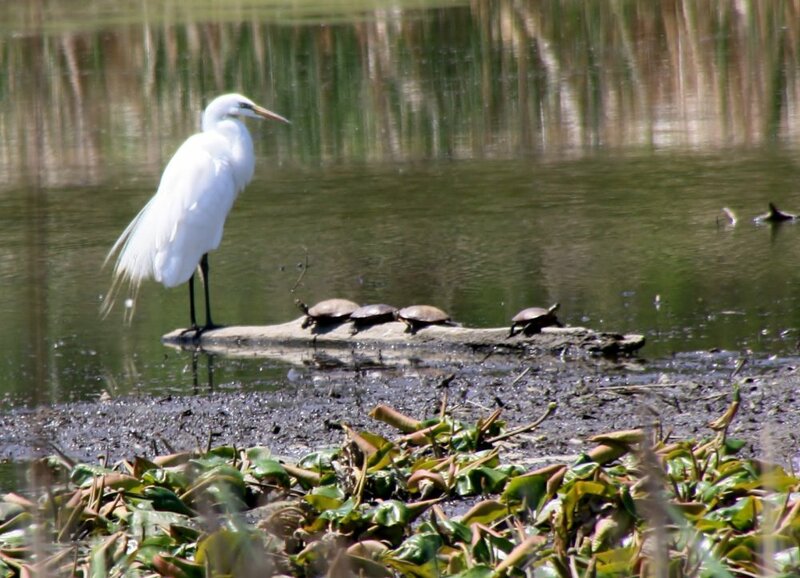 With the water level lower than usual at Capisic Pond in Portland, an egret finds a log on which to roost and is joined by several turtles. Photo by Bruce Small of Raymond. 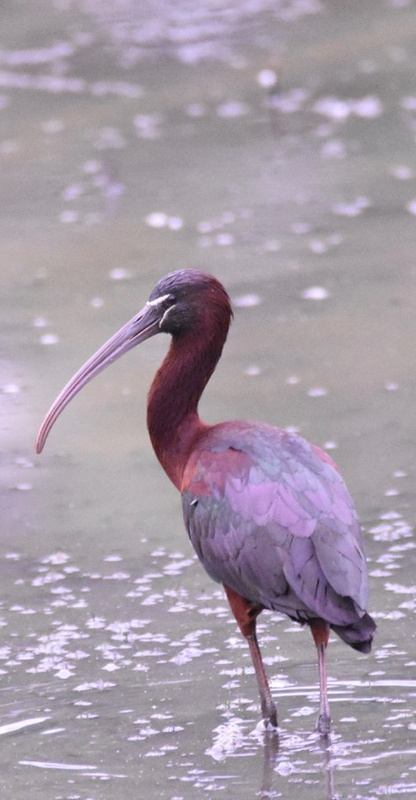 And here's another visitor to Capisic Pond – a glossy ibis photographed by Peter Brokofsky of Portland. 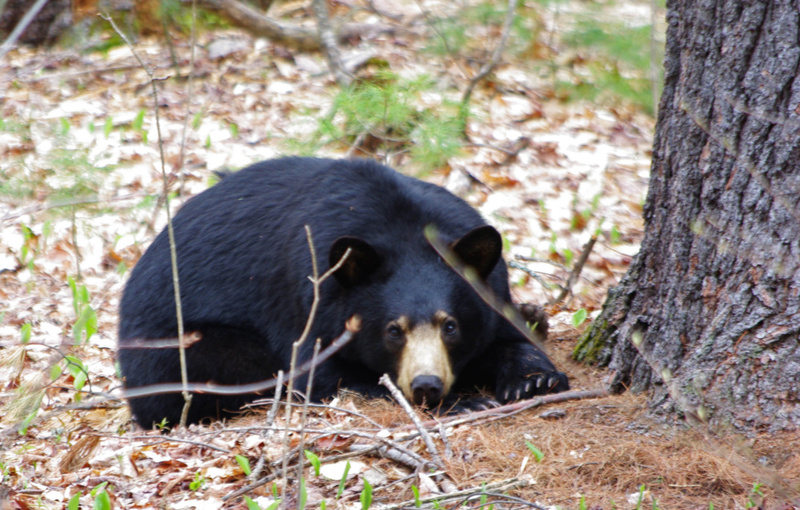 Hibernation season is long over, but this black bear still readies for a nap while Wendy Holmes of Center Conway, New Hampshire, keeps a prudent distance with her camera. Bears have been active this spring in the North Conway area, she says. 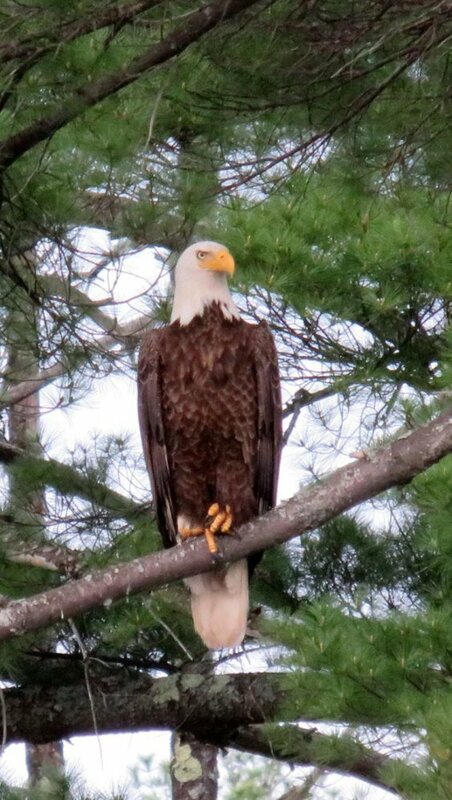 An eagle is on the lookout from a pine tree at Lake Estes in Alfred. 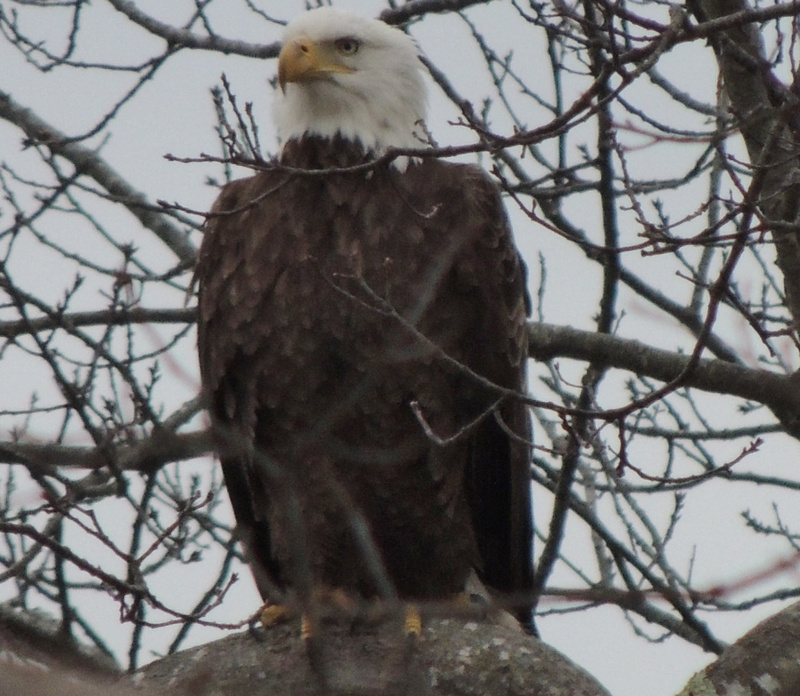 Cathy Wilkie Conley suspects that it's the same eagle that visited last year. 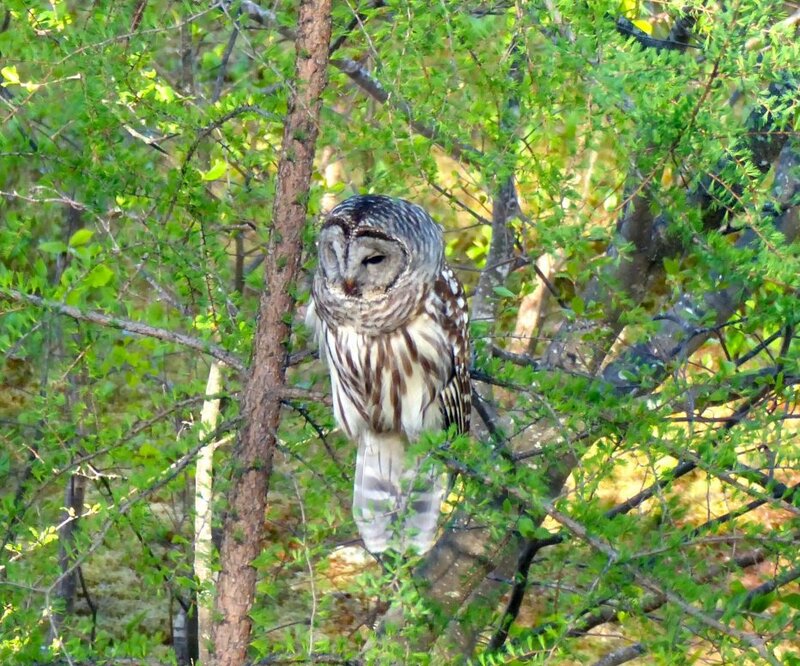 After several nights of making its presence known with its hooting, this barred owl made a morning appearance at the home of Bill Preis on Merryfield Cove in Bridgton. The owl perched itself in a tree, but according to Preis, it didn't seem interested in the gray squirrels that are regular visitors to the property. 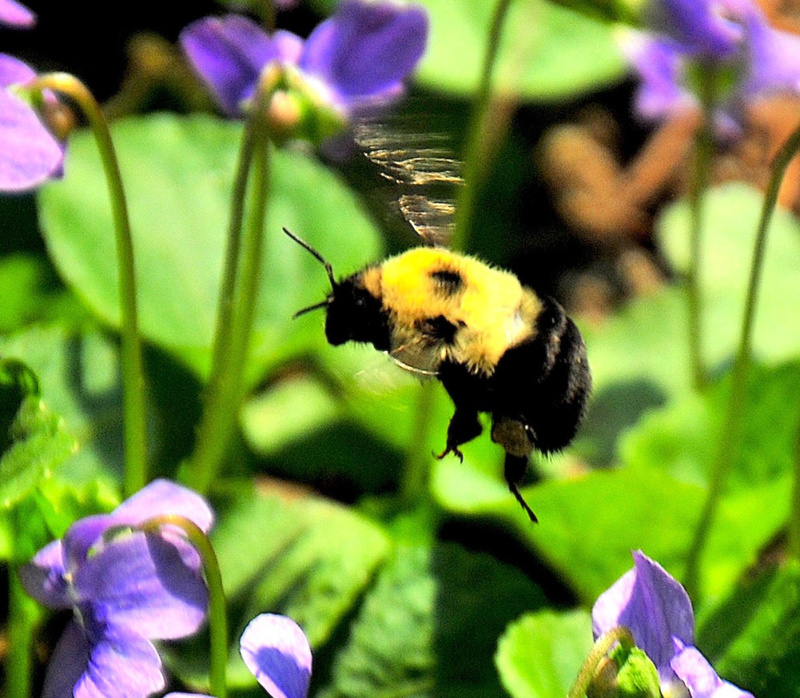 A patch of violets at Erik Bartlett's home in South Casco are visited by a lone bumblebee looking for some nectar. 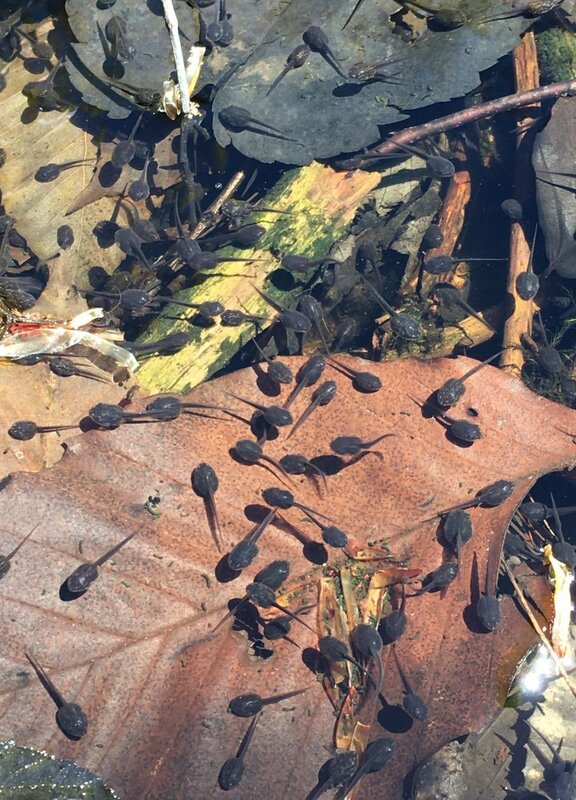 Tadpoles were out in force last Sunday at the Bowdoin home of Jim Moulton. 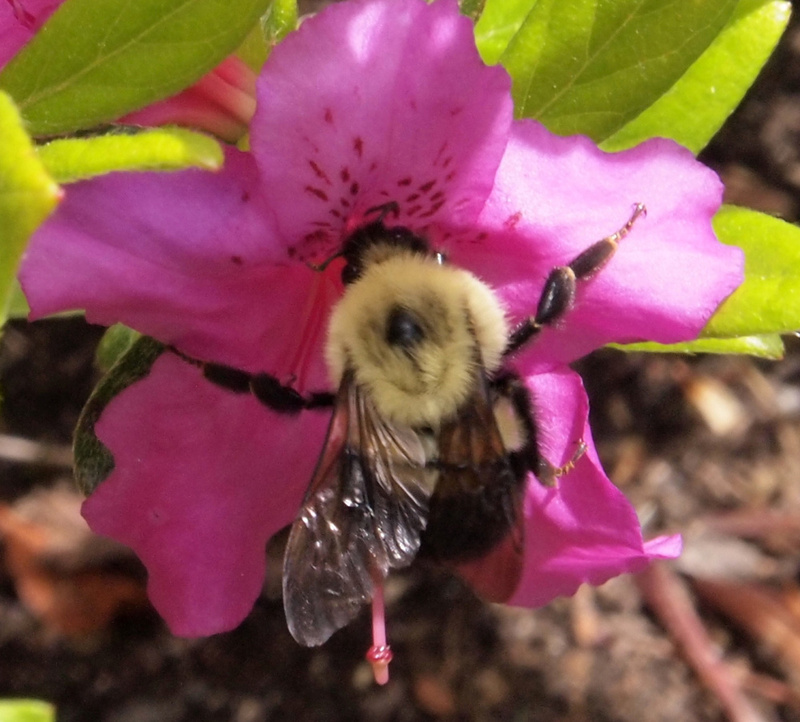 Roger Marchand of Gorham also spotted a bumblebee in his front yard, pollinating an azalea. 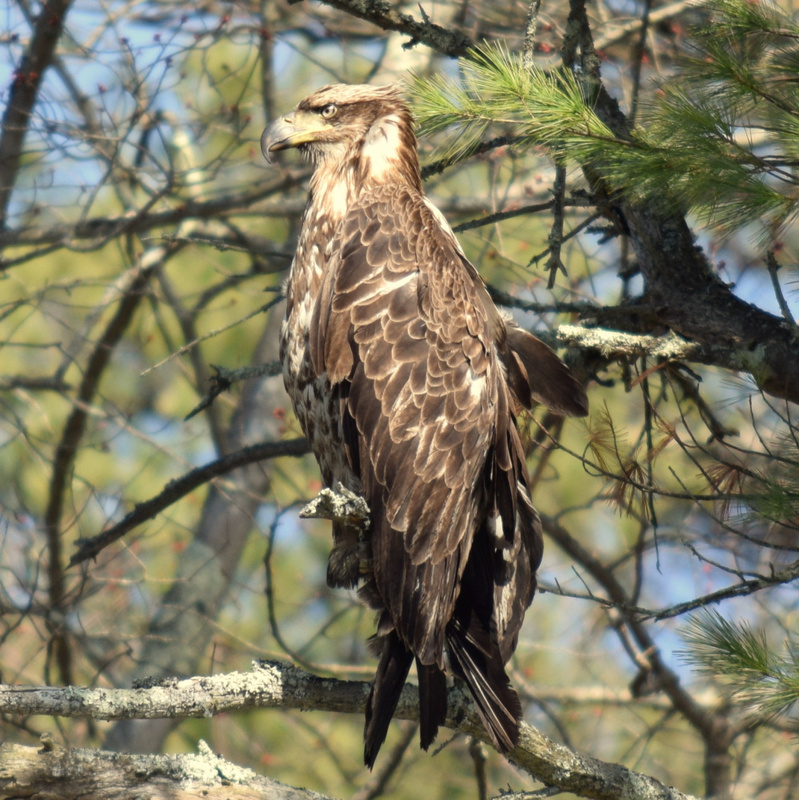 Jill Ventry of Phippsburg notes that there are many eagles and ospreys in the area now that the weather is warmer, and she was lucky enough to see this juvenile bald eagle while kayaking. 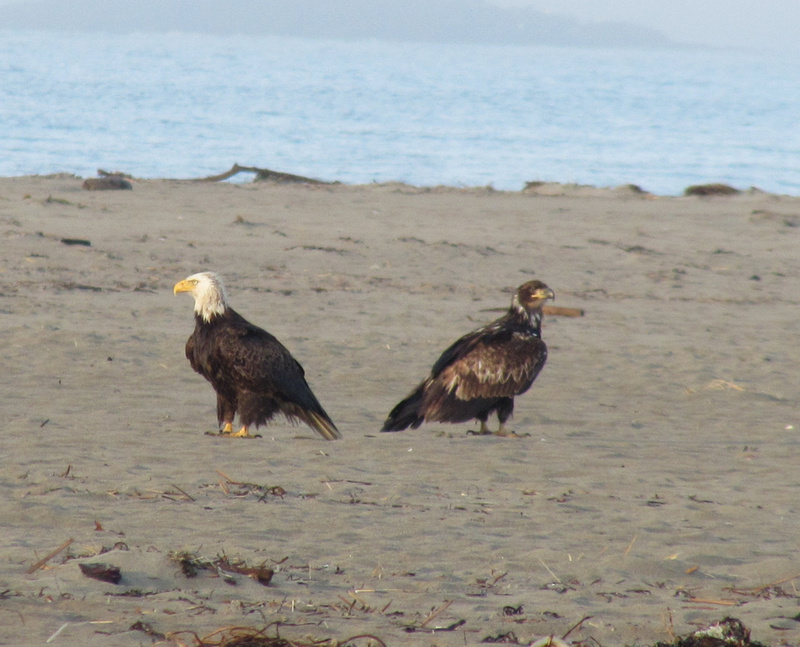 Oliver Andrews of Phippsburg was taking his daily morning walk at Popham Beach recently when he encountered a convocation of eagles. 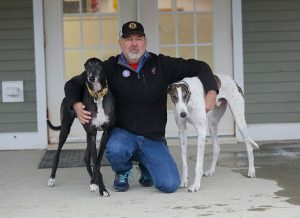 Andrews counted four mature adults and eight yearlings in the group. 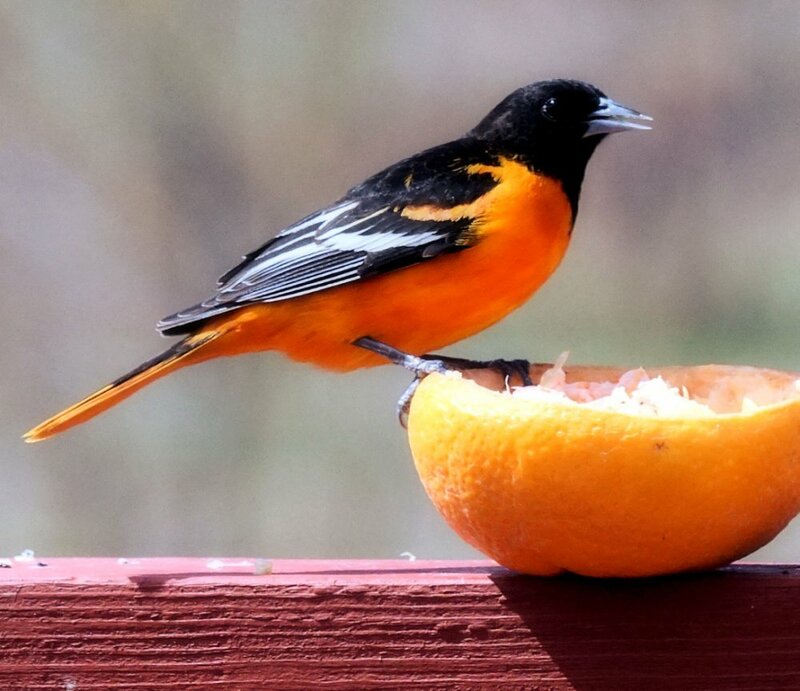 A day without orange juice is like a day without sunshine, as the old commercial used to say, and this oriole would agree as it returns to the Saco backyard of William Plante for a daily dose of Vitamin C.
Maybe this is a squirrel-proof birdfeeder, but this is a whole different challenge. 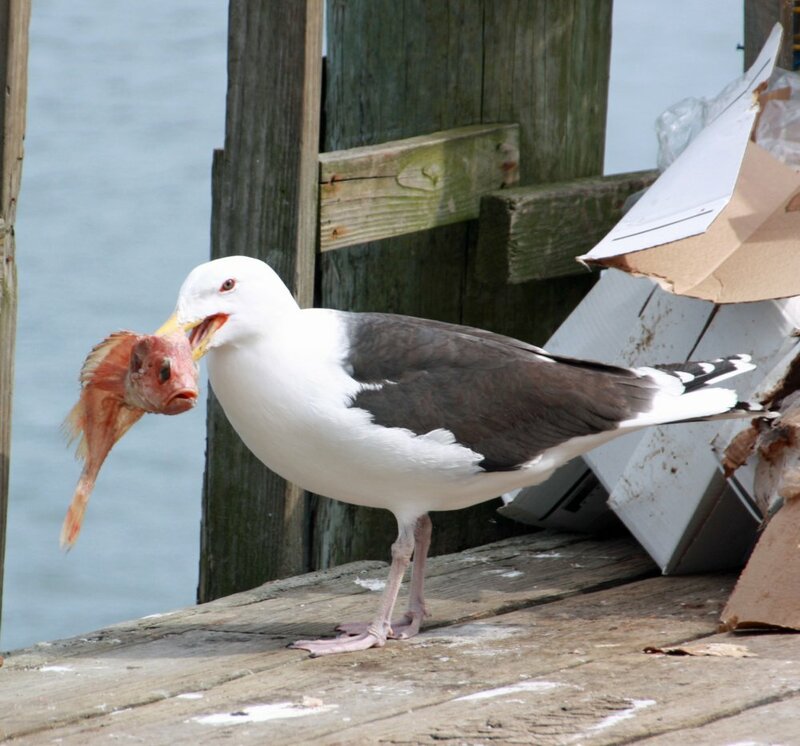 Brad Woodward of Old Orchard Beach saw this herring gull looking for a meal in an unusual place. Six little goslings are protected front to back as they learn to swim in Sanford while Cathy Wilkie Conley of Alfred watches from shore and later gets a close-up of them nestled on the shore. A sure sign of spring. Yes it's Mother's Day, and this young kit is certainly appreciative of his mom. The youngster is one of six, according to Hope Creighton in Thomaston. 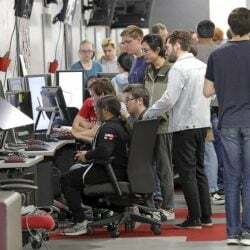 "They are so much fun to watch." 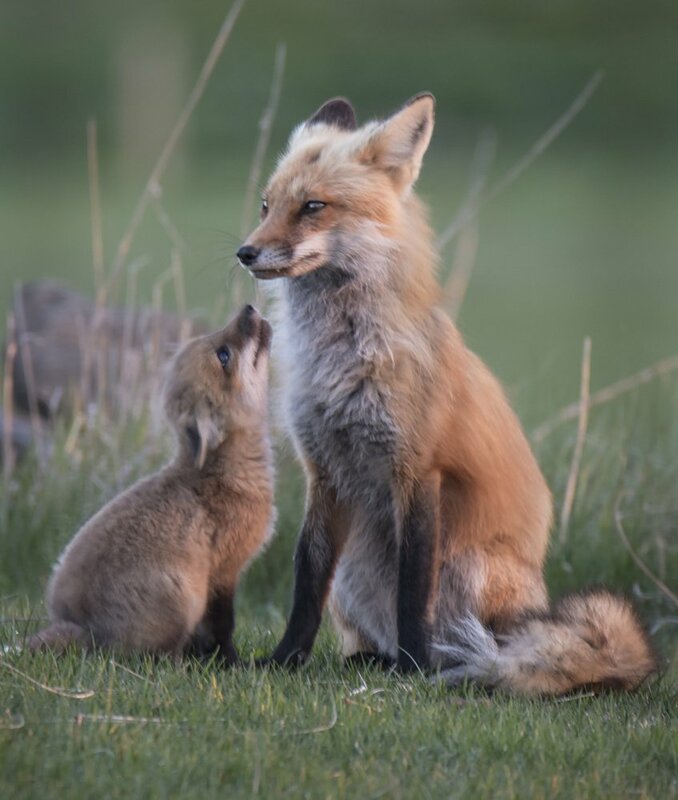 But while the kit wants to play, mom keeps a sharp eye on their surroundings. 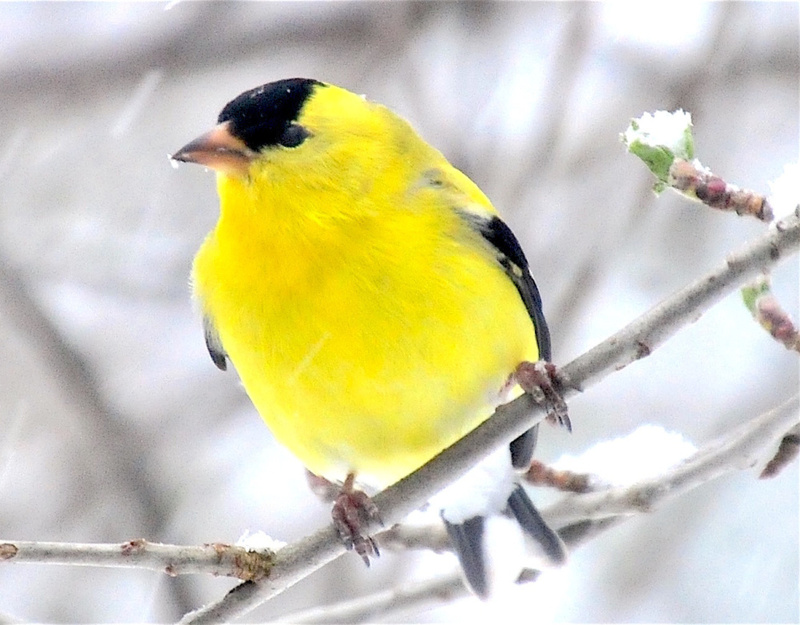 A goldfinch braved the elements in a late-spring snowstorm, but look closely and the apple tree where he's perched is starting to show the green of leaves starting to bud. 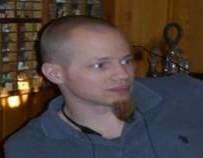 So spring is coming to the South Casco home of Erik Bartlett, and also to the rest of the state. 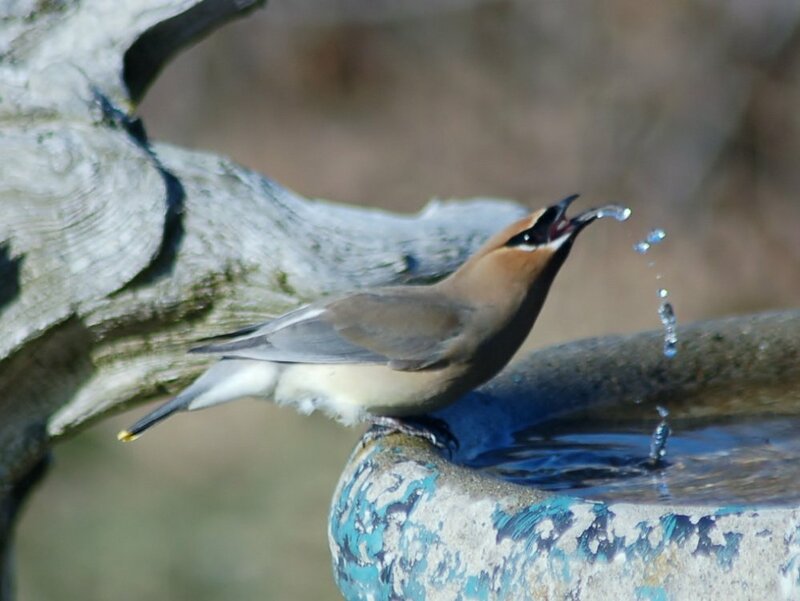 A cedar waxwing stops for a drink at Pine Point where Chris MacKenzie managed to get this photo. How much wood ... OK, enough of that. 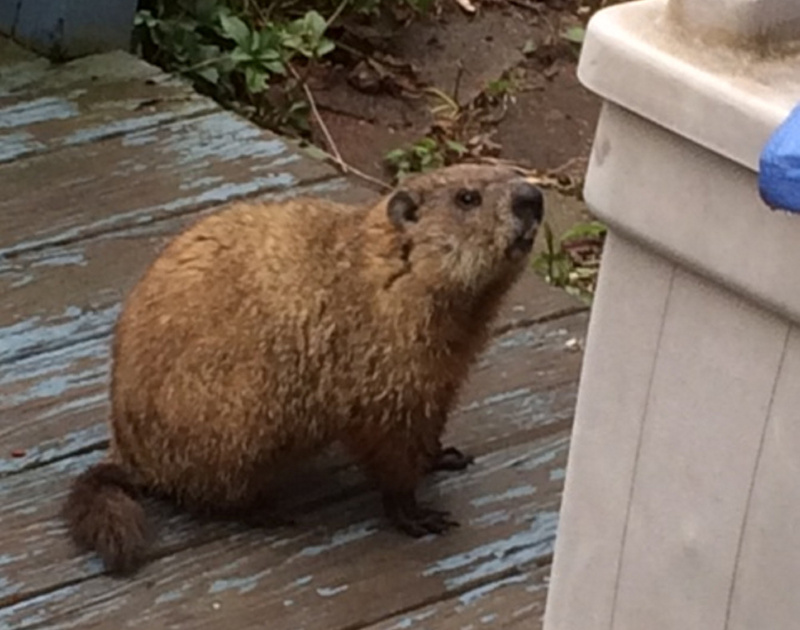 This woodchuck has been hanging around in Saco, and was noticed by Sharon Sevigny who thinks food would be much more welcome than wood for this regular visitor. 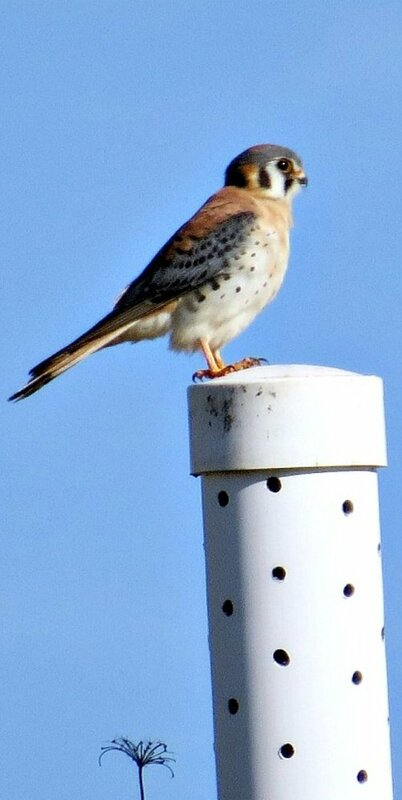 A beautiful male kestrel in a field in Sanford looks for a meal, possibly of grasshoppers, mice or voles, and Joy Page had a good view of him. 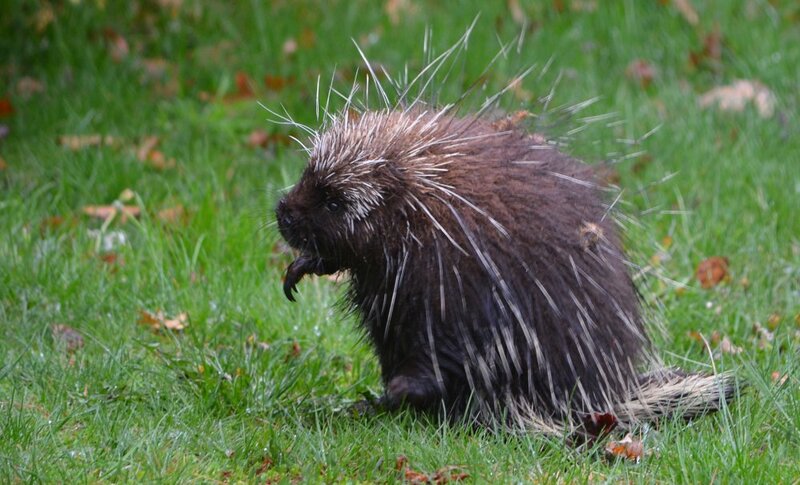 Paul Wells of West Kennebunk spied this porcupine waddling through his yard this past Tuesday morning, apparently not bothered by rain that soon turned to snow. 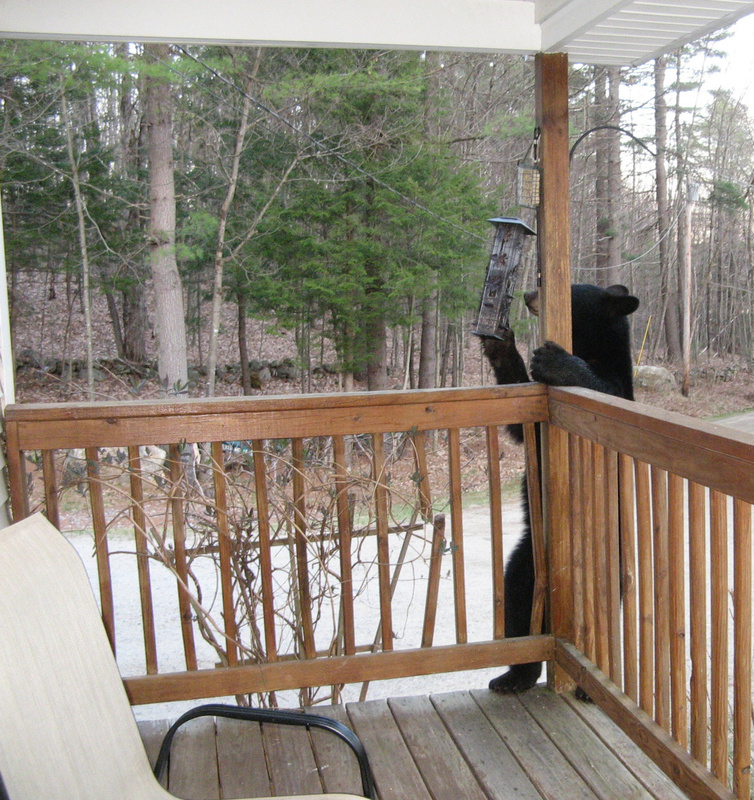 Hibernation season is over and the bears are hungry, like this one that climbed onto the porch of Ethel Pitts' home in Parsonsfield to get its paws on the birdfeeder. We're guessing that the bear's appetite wasn't satiated. 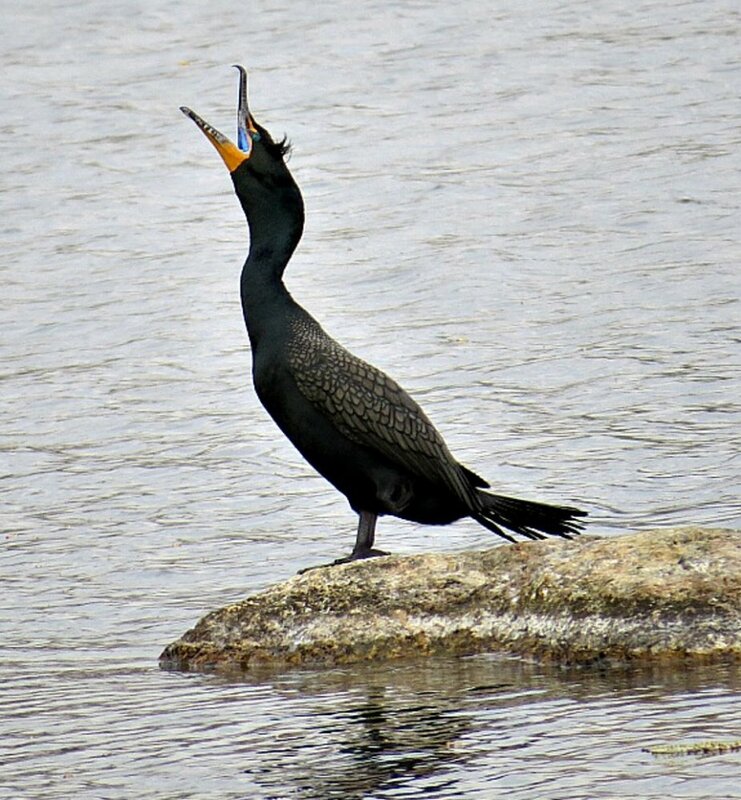 Joy Page submitted this photo of a double-crested cormorant calling out, perhaps to his or her mate, at Number One Pond in Sanford. 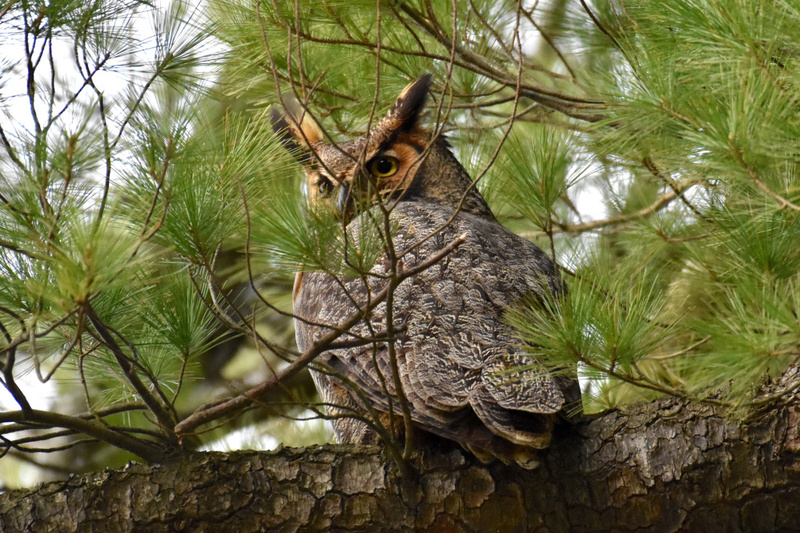 Seth M. Davis, a research associate in the College of Pharmacy at the University of New England, took these photos of a great horned owl and one of its two owlets nesting in a cemetery on the UNE campus in Biddeford. There were two adults and two owlets, says Davis, but one of the owlets fell out of the tree and was rescued by Avian Haven. A mama fox and her seven babies have moved in to the back yard at Hope Creighton's house in Thomaston. 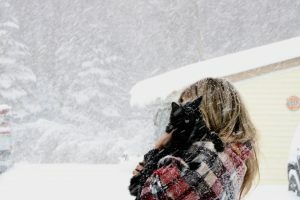 She reports that mama is healthy and beautiful and the kits are fun to watch. 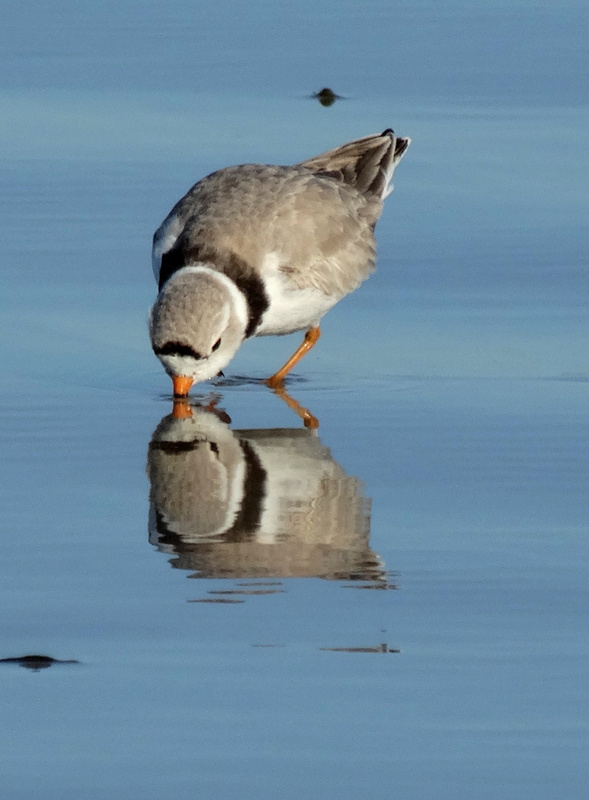 Though piping plovers are designated as endangered in Maine, Colleen Bovaird of Wells was fortunate enough to spot one at Ogunquit Beach. 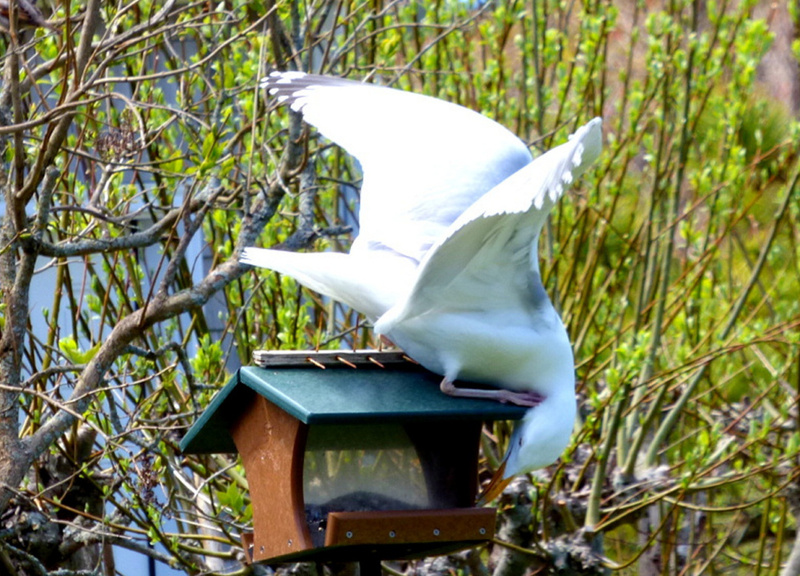 Diann Longstreet of Georgetown caught this seagull in the act of raiding bait boxes left behind at Five Islands Dock in Georgetown. 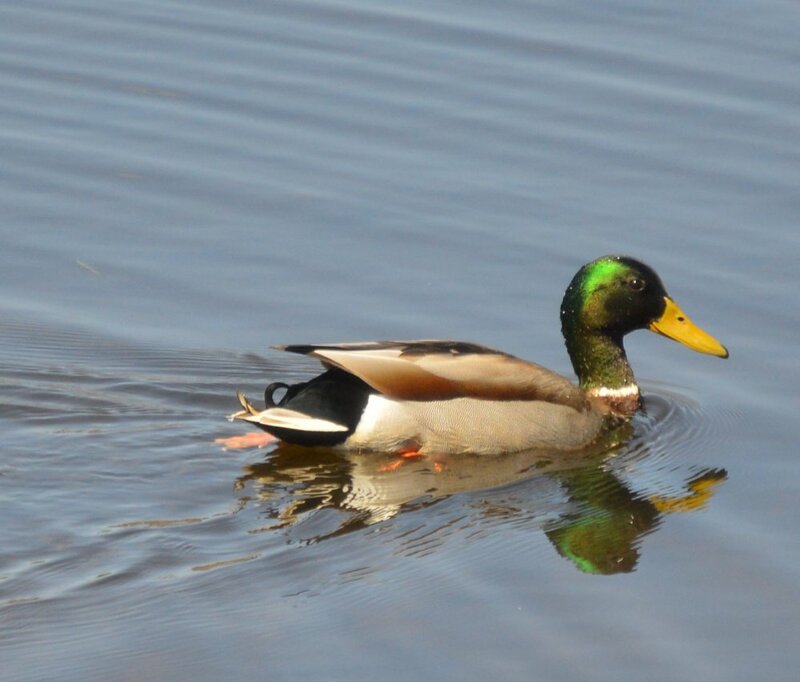 Something appetizing must be below the surface of this pond near the Portland International Jetport, as the mallard goes head over heels – or maybe heels over head – while Brian Lovering of North Yarmouth watched and enjoyed a lunch of his own from shore. 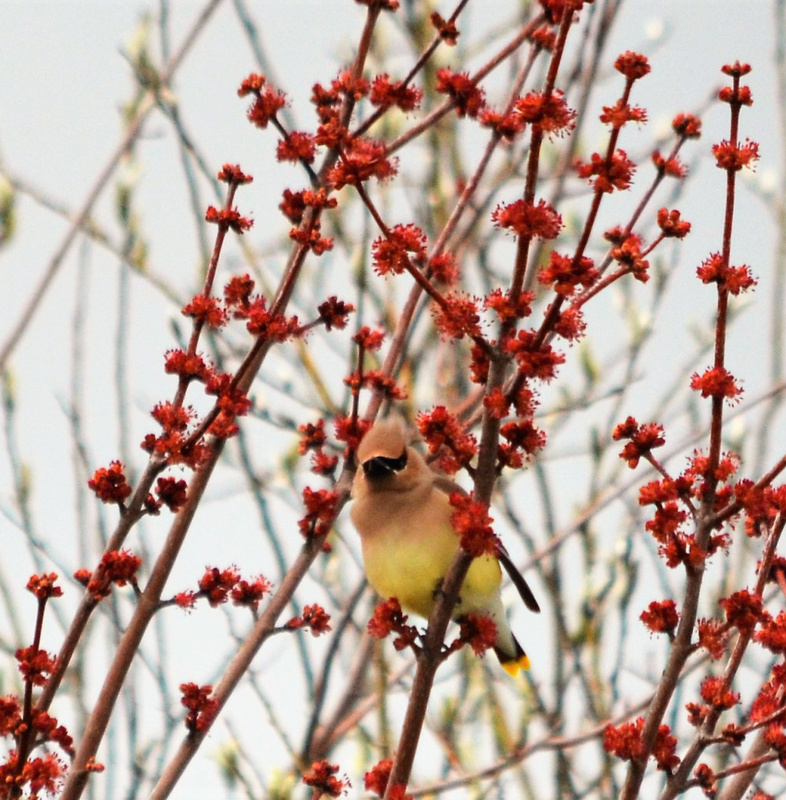 Waxwings are always welcome in Kelly Mull's Scarborough yard. 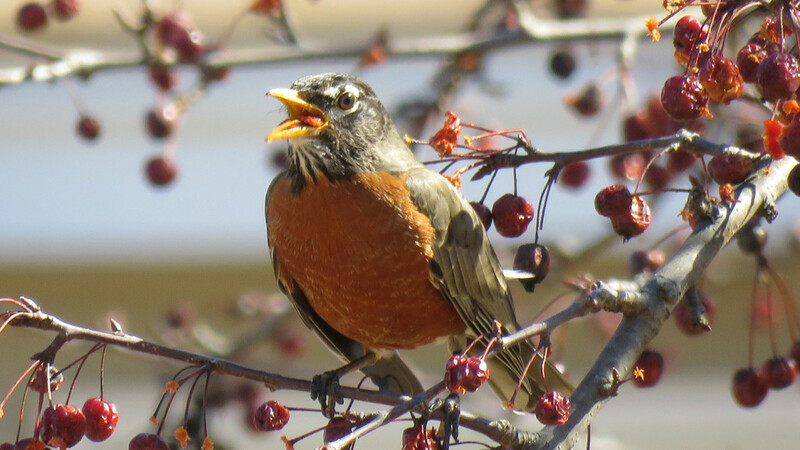 Surrounded by chokecherries, the robin has reasons aplenty to stay in Tina Richard’s yard in Clinton. 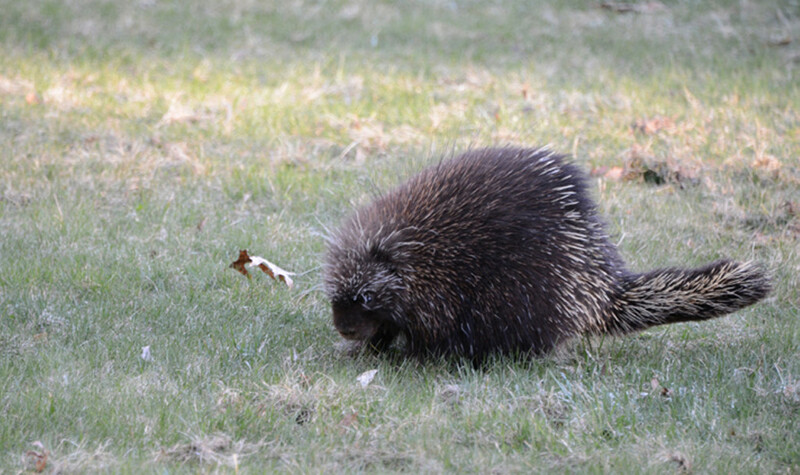 Best admire this porcupine from a safe distance as it explores Ken and Penny Kacere’s yard near Higgins Beach in Scarborough. 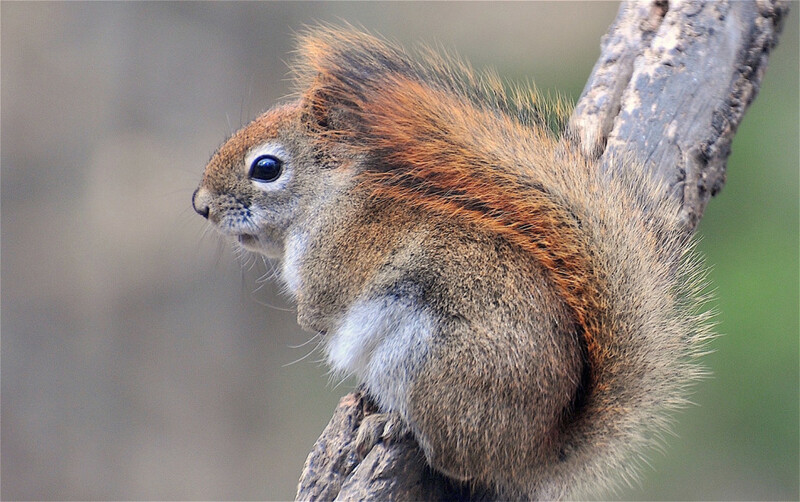 Bullied by the bigger gray squirrels, this little red squirrel tends to be an infrequent visitor in Erik Bartlett’s yard in Casco. 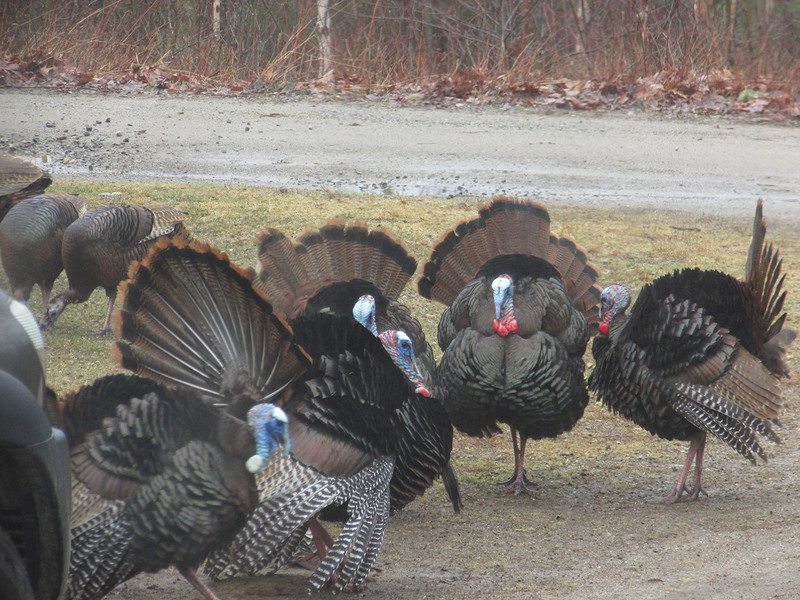 The male turkeys are strutting their stuff for the ladies at Windsong Woods, where Elizabeth Kellett of Walpole got close. 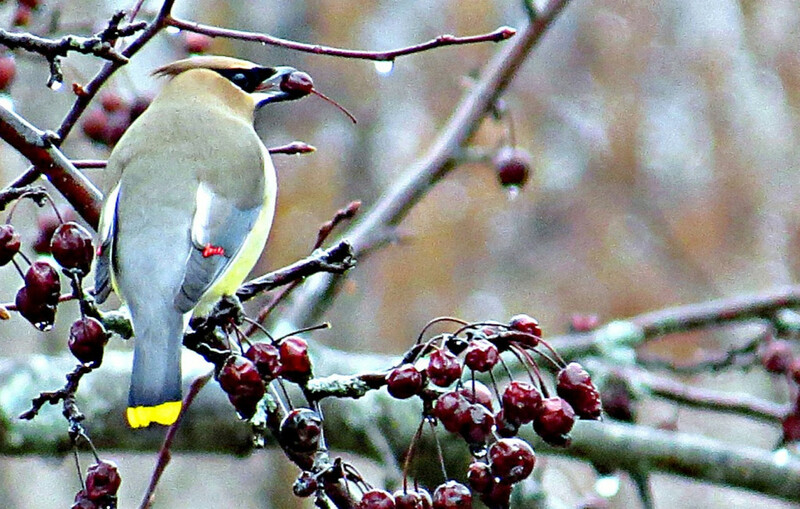 Sometimes a cedar waxwing will eat overripe fruit, but this early in the season, it’s not a concern in Joy Page’s yard in Sanford. 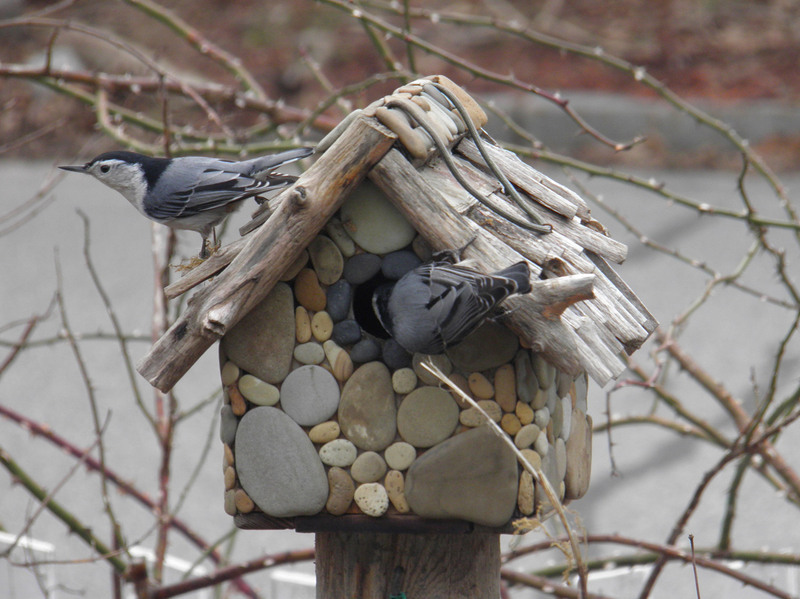 Easter Sunday was moving-in day for this pair of nuthatches in the garden of Jennifer Tuttle and David Kuchta on Whitney Avenue in Portland. 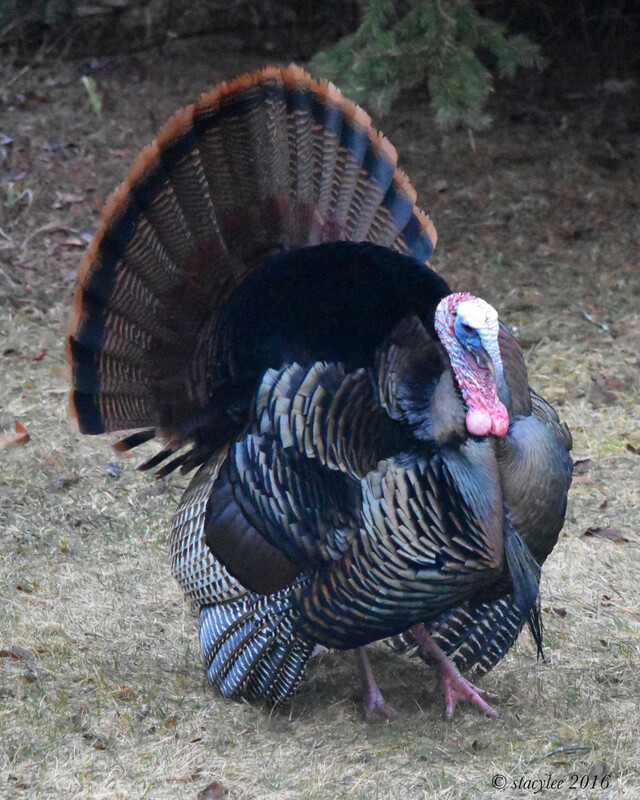 With spring hunting season just weeks away, this big gobbler might be well-advised to stay in the Cumberland yard of Stacy Morris, albeit to the family dog’s chagrin. 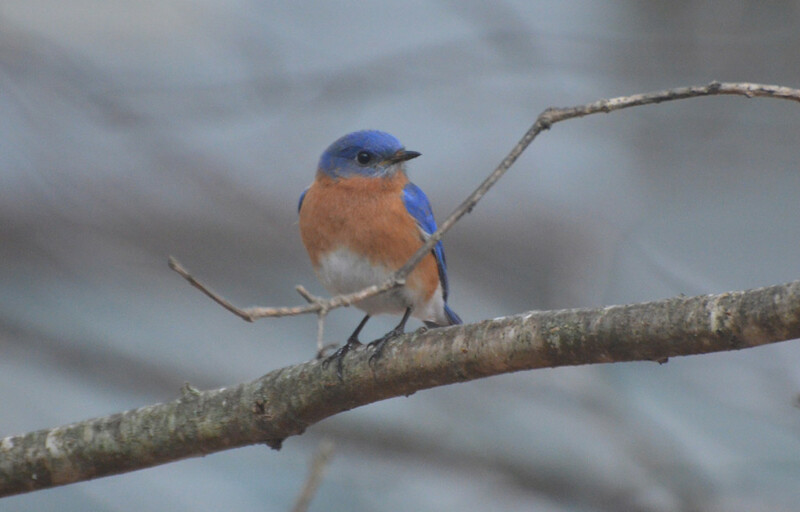 It’s easy to see why the bluebird has long been a symbol of all that’s right in this world, and always a welcomed visitor in Judy Gray’s Old Orchard Beach yard. 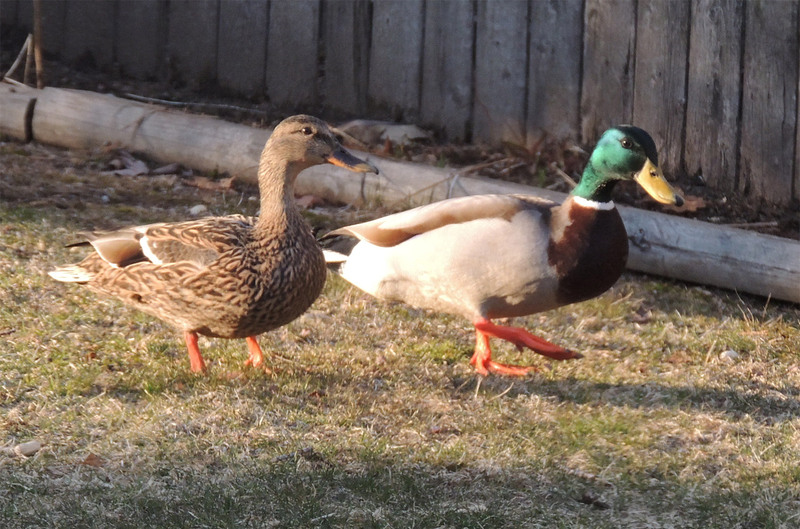 The same ducks keep returning to Barbara Wyman’s yard in Brunswick, where they feast at the bird feeders. And why not? They’re birds, too. 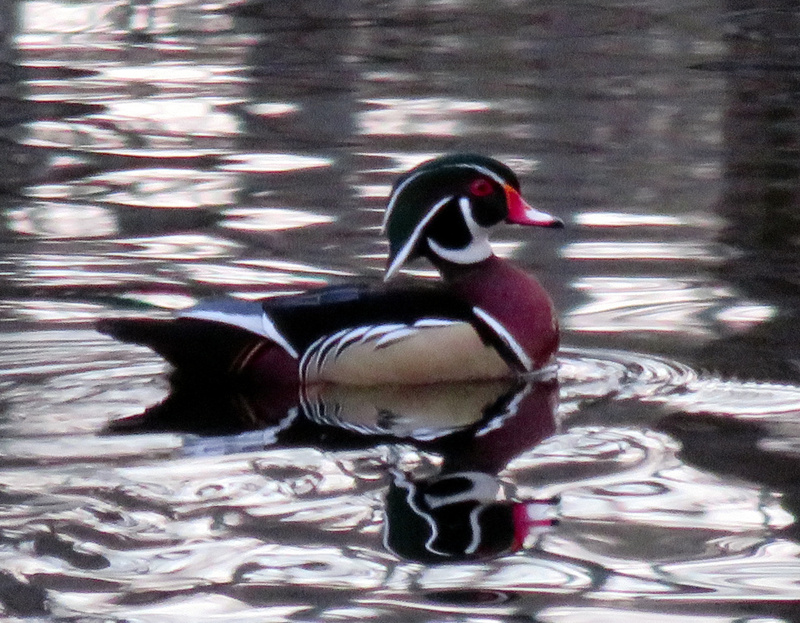 Ever one of the most colorful residents of Maine’s swamps, lakes and ponds, the wood duck casts a nice reflection for Cathy Wilkie Conley of Alfred, a frequent contributor to this section. 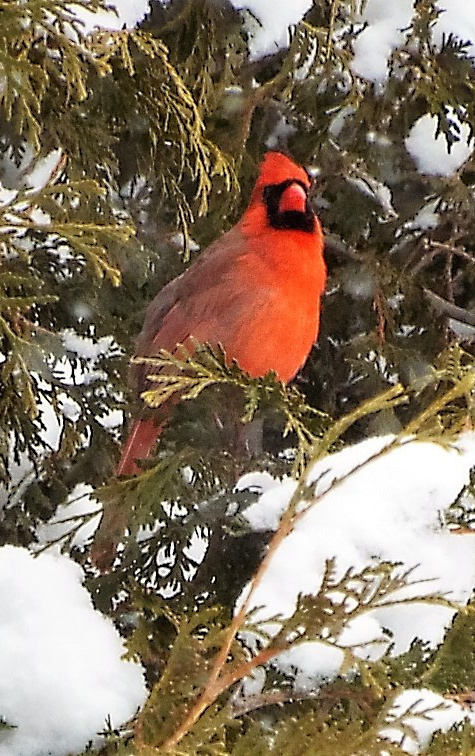 Looks like next December’s Christmas card, just taken in Pownal by resident Terry Allen. It sure doesn’t look like Easter. Inconspicuous to anything scampering on the Ewing Narrows fields below, the bald eagle’s patience is certain to be rewarded. By Carol Fetters of Harpswell. 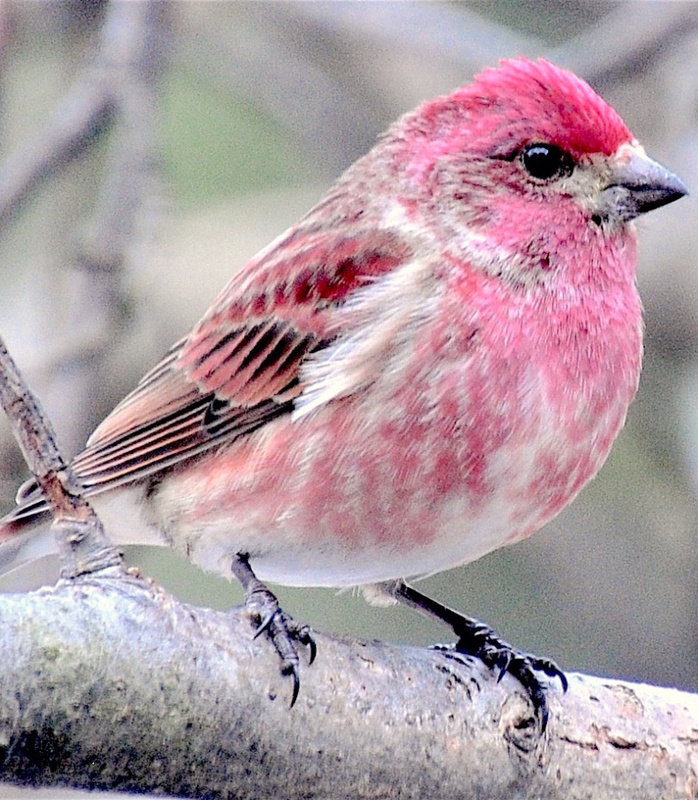 The state bird of New Hampshire, the purple finch – which actually looks hot pink – is also a frequent flier and welcomed guest at the feeders in Erik Bartlett’s yard in Casco. 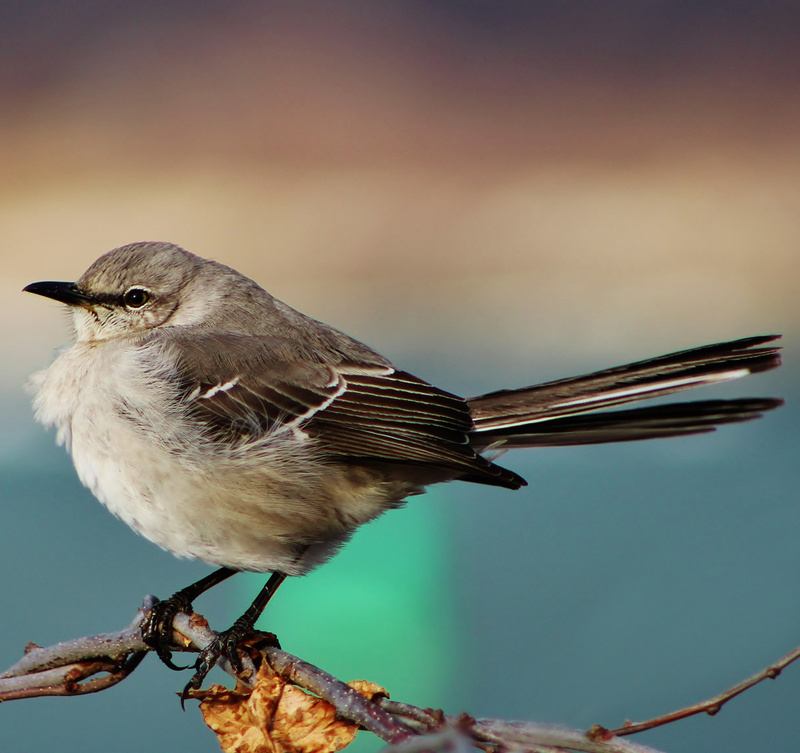 The state bird of multiple states, although not Maine, this northern mockingbird isn’t fazed by Portland resident Sharon Tetreau as it rests on a branch at Fort Williams Park. 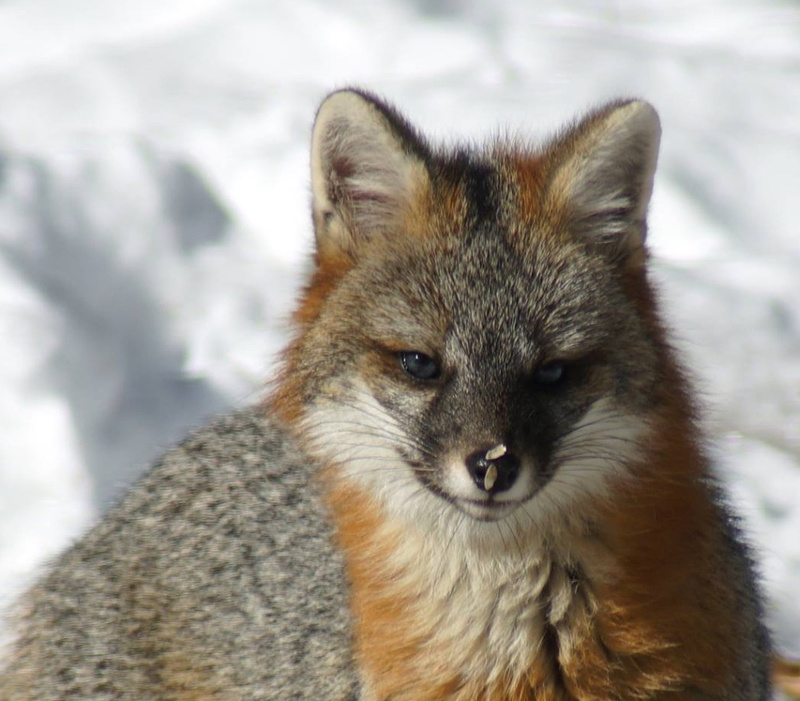 Once its hunting skills are more formidable, maybe the little fox will get the bird, but all it had to show for its last foray into Gale Hart’s Durham yard was a birdseed stuck to its nose, which makes for an amusing photo but left the critter hungry. 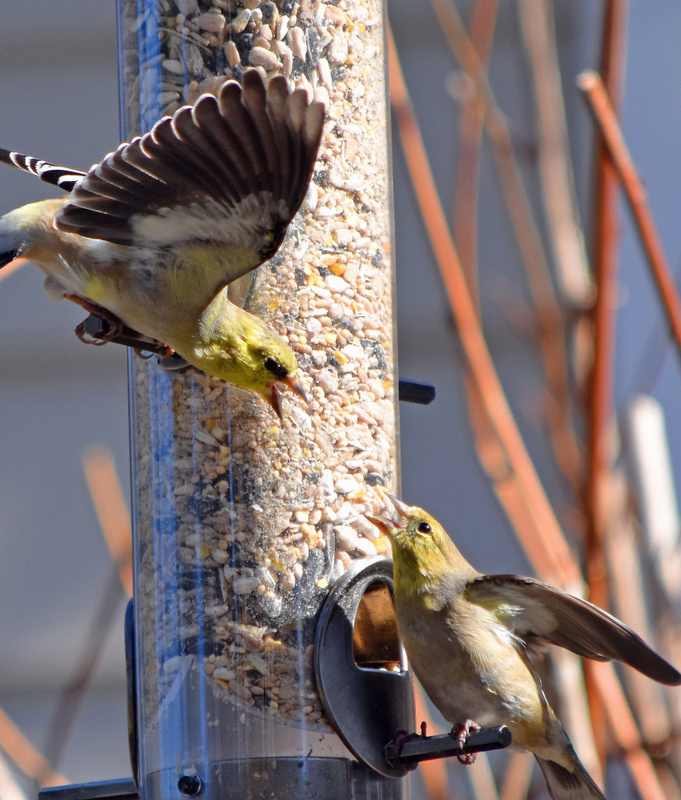 Gluttony and greed are two of the seven deadly sins, and the American goldfinch on the perch seems to practicing them, warding off a colleague from a filled-to-the-brim feeder in Stacy Morris’ yard in Cumberland. 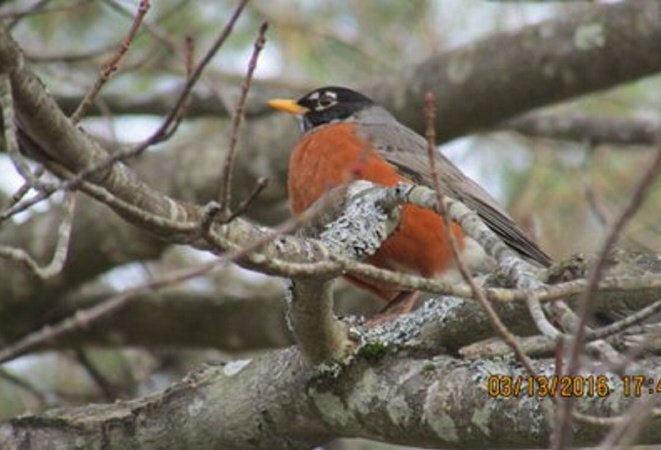 The red, red robin has already come bob, bob, bobbin’ into Bob Keithley’s Saco yard, a sure sign of warming temps and an early spring that will bring all kinds of songbirds back. 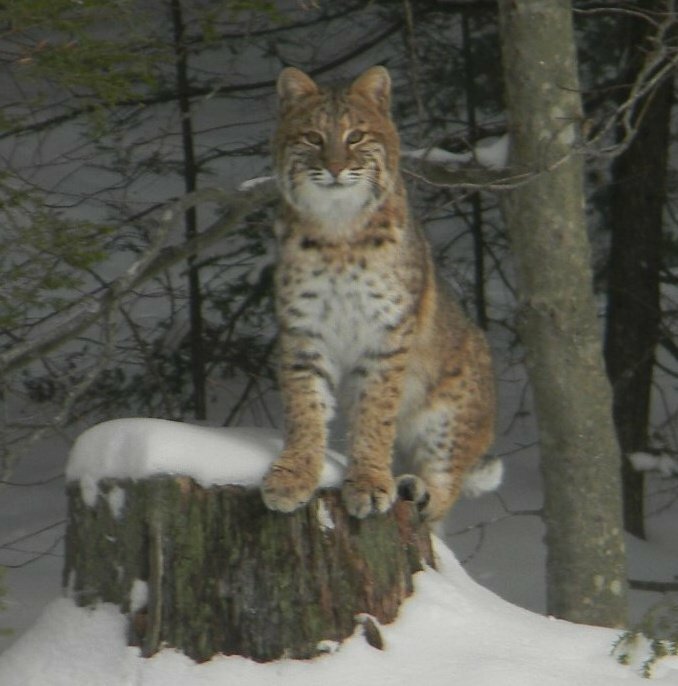 Look out, free-range chickens and any small critters whose purpose is to become part of the food chain; this cat means business and is not to be domesticated. 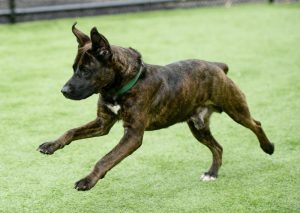 And it’s found reason to visit Duncan Robertson’s yard in Acton. 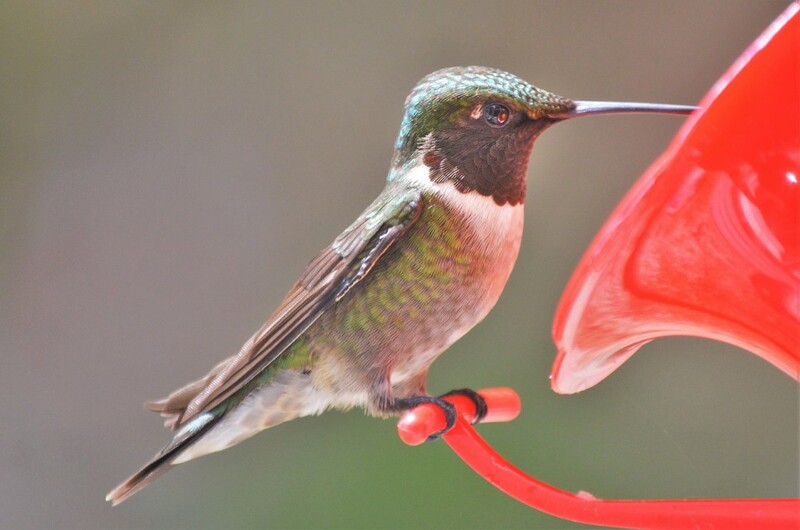 It’s a return to a bountiful feeder for this frequent flyer who knows he’ll always be welcome in Kelly Mull’s Scarborough yard. 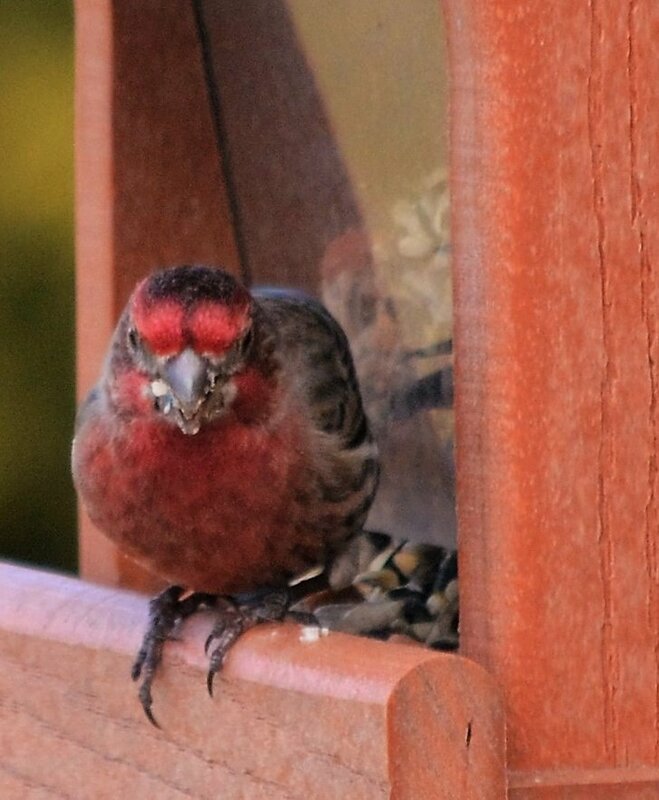 But he shouldn’t be too protective of the vittles; other birds are hungry too. Like planes awaiting takeoff, geese gather near Limerick Airport where Peter Abate was walking. Just a cautionary note, geese: Don’t fly near any airplane engines. 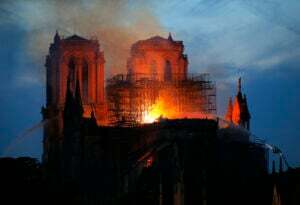 Would be bad for all involved. 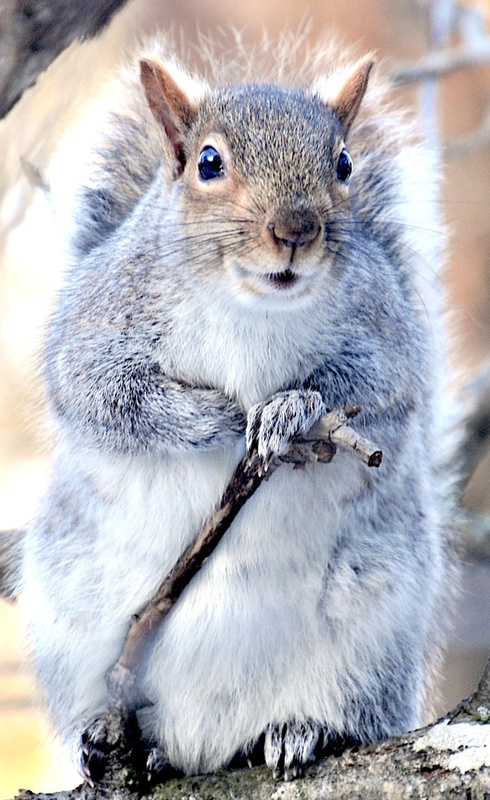 The Bartlett family in Casco dubs this critter Gandalf the Grey Squirrel, and indeed it bears a resemblance to the benevolent, cane-carrying wizard in “The Lord of the Rings.” Just don’t try to get into the attic, Gandalf!